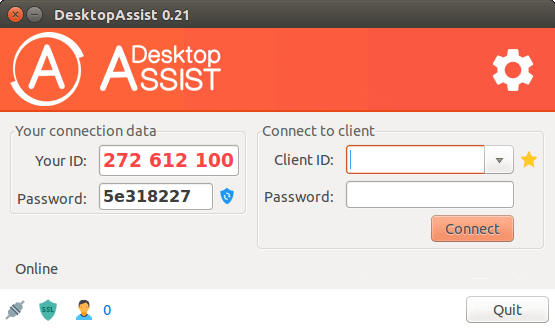 DesktopAssist uses encryption by exchanging the private/public RSA key and 256-bit AES session encryption. This technology is based on the same standards as the https/SSL protocols. Intermediary servers are not able to read correctly transmitted data. All program files have been secured using the COMODO code signing technology. As a result, you can always identify the software publisher. 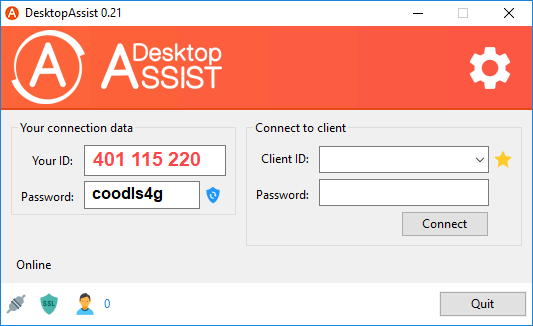 You can try DesktopAssist for free without providing your data. The software is also free for private use. You can start using the program right away. 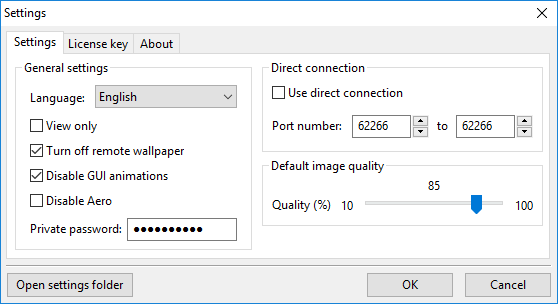 The program works even through firewalls but you can also set the selected port for outgoing connections. A unique identifier is generated for each user. A session password is generated on each startup. 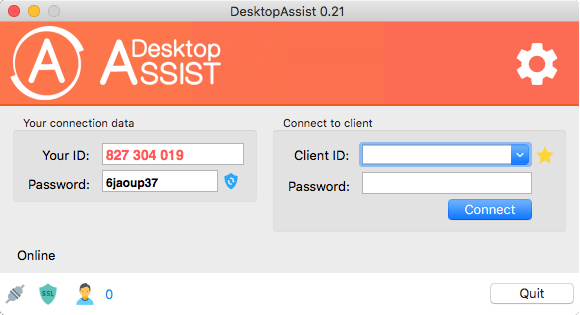 DesktopAssist is available on several popular operating systems. It allows you to connect between the following operating systems: Windows, Linux and macOS. How does the DesktopAssist remote access program work? For quick use, the program does not have an installer. When first started, the program generates a unique user ID that is remembered. The password is generated randomly each time the program is started. If we want to connect to another computer, we also run the program on the remote computer. To establish a remote connection, the ID and password should be provided to the other person. After entering the client connection data, press the "Connect" button. The program checks login details and establishes a connection. At the beginning DesktopAssist tries to establish a direct connection if this fails, the data will be exchanged by the proxy server. All transmitted data is encrypted. You can buy a program license or use it for free and support a project with any amount. In the free version there may be limitations if the system will be overloaded. Copyright © 2019 Cuniculus. All rights reserved.